With our overscheduled calendars and stacked commitments throughout the day, many of us find it difficult to naturally wind down and fall asleep gracefully. 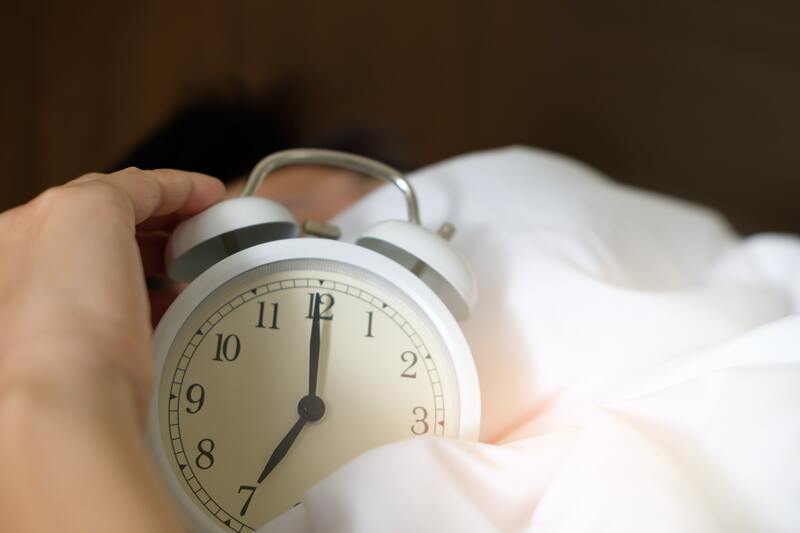 Somewhere between 50 and 70 million Americans have sleep or wakefulness disorder, and there are various reasons why you may be resignedly looking at the alarm clock at 2am, 3am, counting down the hours until it’s time to get out of bed. Taking in too much caffeine throughout the day, not having a dark enough bedroom, and checking your electronic devices close to bedtime are common culprits. Maybe you took a catnap after work, affecting your nighttime sleep. Just as parents encourage their children to have bedtime routines, it’s important for grown-ups to also have their own routines to facilitate healthy sleep hygiene. Do you have one? If you or a friend has struggled with sleep issues, more than likely you’ve read these concerns already. What you may not have taken account of is the fact many Americans rely on a couple glasses of wine, or increasingly, using marijuana to leave unwind from the stressors of the day. Alcohol and marijuana have traditionally been used as sedatives, but the relationship between substance use and sleep disturbance and insomnia is complicated. Studies suggest that 2-3 drinks in the evening can initially promote sleep, however those effects don’t last over time. In as few as 3 days, that boost will diminish although we may continue the ritual of comforting ourselves with a substance, possibly leading to dependence. Interestingly, adults who began using marijuana before they were 15 are two times as likely as nonusers to have problems falling asleep, according to research from the University of Pennsylvania. Sleep disturbance is common among people in remission from substance use disorder, and can also serve as a symptom of current alcohol problems. Ten to fifteen percent of individuals with chronic insomnia have addictions, with the most commonly used substances being alcohol, followed by narcotics. Identifying this can facilitate timely intervention, and lead professional clinicians to change their treatment of sleep issues by limiting prescriptions to benzodiazepines like Xanax or sedative-hypnotics like Ambien (both of which are addictive). A ‘natural’ treatment that can heal co-occurring insomnia and substance use disorder or cognitive behavioral therapy (CBT). Cognitive Behavioral Therapy for Insomnia (CBT-I) is a way to treat insomnia without sleeping pills by changing sleep habits. It may include regular visits to a clinician and incorporate homework such as a sleep diary. Based on the diary, the clinician can lay out Stimulus Control Instructions to identify sleeping habits that are hindering sleep, and Sleep Hygiene Education based on an analysis of the patient’s behaviors of sleeping and wakefulness. Relapse Prevention also plays a part, by learning tools to maintain their new behaviors. Interestingly, Cognitive Behavioral Therapy is also an evidence based practice used commonly residential and outpatient addiction treatment centers for the treatment of substance use disorder and prevention of remission. CBT helps individuals identify and correct the range of maladaptive habits, develop strategies to reduce risk of use, and recognize and cope with cravings or old ways. There is hope. If you think you might have co-occurring insomnia and substance dependence, create a recovery plan with the help of a professional. The better your quality of recovery, the better your quality of life. Both sleep problems and substance use problems are absolutely treatable, one day and one night at a time. Tania is the Executive Director of New Directions for Women, Foundation, a 501(c)3 nonprofit providing sustaining support in the form of partial scholarships, capital support for building projects, and the growth of our endowment to provide sustaining support for the next generation of patients and families transforming their lives from addiction to recovery. Tania has a decade of experience developing public relations campaigns in the behavioral healthcare space, managing fundraising activities including grant writing and special events, and developing social enterprises. Understanding the importance of collaboration, she has forged relationships with other nonprofits and behavioral healthcare organizations to provide creative solutions to the co-occurring issues of addiction, domestic violence, and homelessness in women. Tania has championed the importance of alumnae services in treatment over a lifetime, and launching testimonial projects so community members can hear the message of hope. She has served in leadership volunteer positions within other organizations in the recovery sector including Treatment Professionals in Alumni Services (TPAS) and has done volunteer committee work for the National Association of Addiction Treatment Providers (NAATP). Tania holds a Bachelor of Arts in Psychology and Social Behavior from the University of California – Irvine.